The Law Offices of SJ Spero & Associates (formerly Spero & Jorgenson, P.C.) was founded in 1983 to protect the rights of victims of professional misconduct and abuse. Our practice is devoted exclusively to this highly specialized area of law. We understand the devastating and lifelong effects that victims of professional exploitation face. We have witnessed firsthand the lasting pain that our clients have suffered at the hands of abusive professionals. For over three decades, we have helped hundreds of victims obtain the closure that comes with holding their abusers accountable. Based in Boston, our lawyers handle professional misconduct cases across the country. We work with trusted local counsel and provide consultative services to protect the rights of victims of professional abuse. Our attorneys are pioneers in this field. They have handled groundbreaking cases in numerous states, many of which set lasting legal precedents and paved the way for victims of abuse to obtain justice. Both of our attorneys have been quoted as experts in this area in various news articles and media. They have been published extensively in this area of law; their articles and significant cases have appeared in national publications such as Psychiatric Times, Lawyer's Weekly and numerous professional journals and law reviews. Professional care providers fulfill a vital function in helping vulnerable individuals. They have a fiduciary duty to help, not harm, the patients who trust in them for treatment and guidance. Unfortunately, however, cases of abuse and exploitation are all too common. Therapists sometimes abuse their positions of trust and authority, leading to negligent acts due to defective judgement and impaired integrity. Such abuse can inflict lasting physical, psychological and emotional harm on its victims. 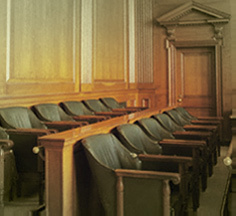 We also handle cases involving abuse by teachers, Boy Scouts and Girl Scouts leaders, and other educators. To discuss your situation with an experienced attorney in a safe and confidential environment, please contact The Law Offices of SJ Spero & Associates at 617-491-1200. Based in multiple locations, we represent clients throughout Middlesex County, Massachusetts, and throughout the country. The Law Offices of SJ Spero & Associates represented victims of professional misconduct and clergy abuse across the country, including Massachusetts, Missouri, Texas and New York. Based in Boston, our local service areas include Newton, Concord, Acton, Lowell, Cambridge, Quincy, Worcester, Springfield, Pittsfield, Middlesex County, Essex County, Suffolk County, Norfolk County and Worcester County.